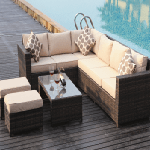 Our range of rattan garden cube sets is great for anyone hoping to deck out their garden with top quality, hand-made furniture at a reasonable price. 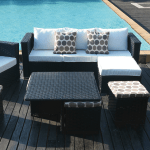 Purchasing one of our sets will allow you to bring the comfort of your living room to any outdoor space, while simultaneously adding a real essence of class and modernity. 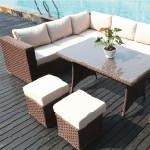 Placing some of our rattan dining sets out amongst plants and trees can help create a little hub of tranquillity and peace in an otherwise hectic world. 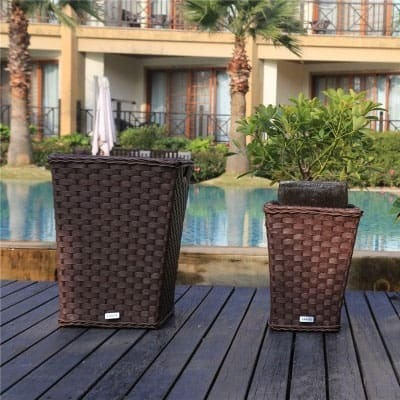 All of our rattan garden cube sets are constructed with a coated metal framework and an aluminium effect feel, meaning you can rest assured that they will hold in even the most adverse weather conditions. 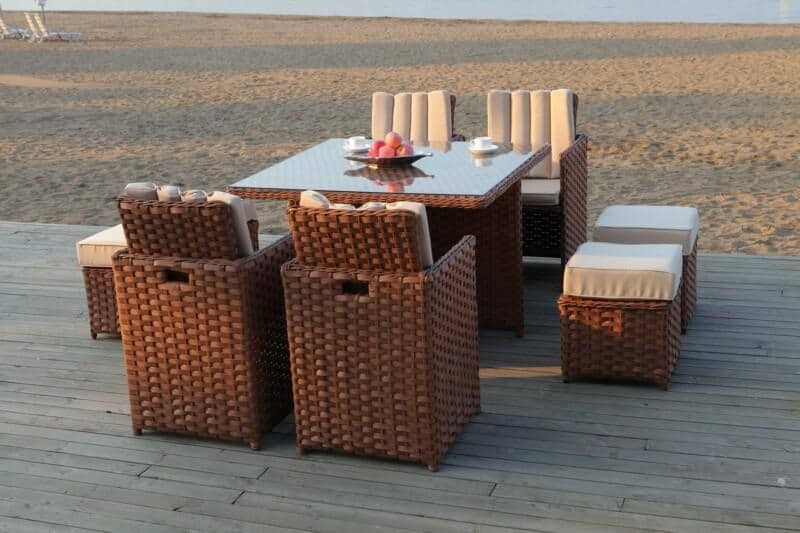 The longevity of the products is another great bonus, as the SGS approved wicker from which our selection of rattan dining sets are guaranteed to withstand 1,000 hours of sunshine. This means you will be able to sunbathe to your heart’s content without having to worry about damaging the material of your seats. 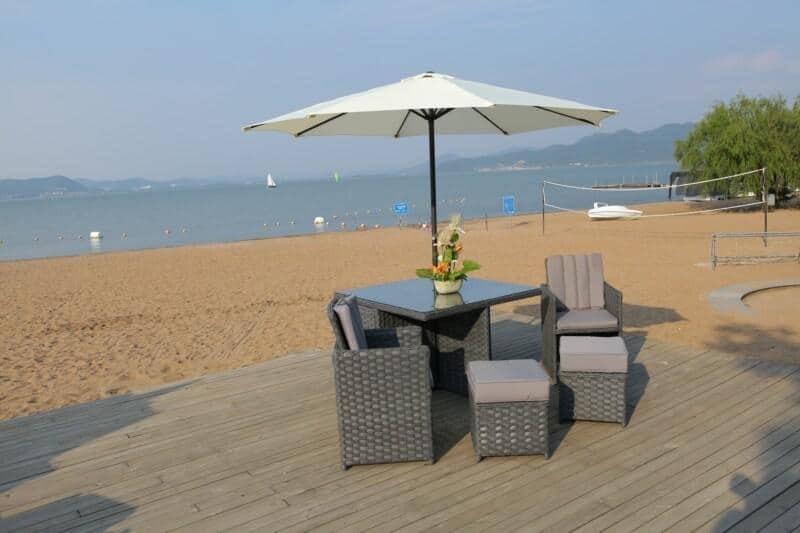 In addition to their ability to withstand hot conditions, our range of rattan garden cube sets all feature waterproof seat and back cushions, meaning they will not be damaged by heavy rain. 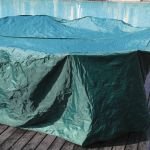 The waterproof nature of the material also means washing the seats is very easy, requiring only a quick hand wash.
Our cube sets come in a range of colours, allowing you to style your garden or outdoor space according to your own aesthetic preferences. 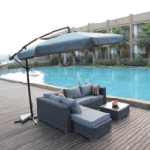 Next to a pool, decking or a blooming garden, the simple and sleek design of these products is sure to liven up any outdoor area.